Here is a sampling of our projects which we can discuss publicly.. In 2000, Dr. Neil Clark Warren launched one of the first fully personalized online dating service focused on matching compatible couples that are likely to have a successful and fulfilling long-term relationship. Back then the service was run on some legacy machines based around Intel II processors that had to manage only a handful of requests on a daily basis. Since then a lot has changed. With the expeditious proliferation of the Internet and widespread access to telecommunications technologies and handheld devices at much lower costs, we have not only witnessed a rapid increase in the number of people online, but also in the number of people using online dating services in their search for love. In parallel to the development of facilitating technologies, the cultural stigmas attached to finding love on the Internet have faded away giving rise to a newfound popularity for online dating services. In 2015, more than half of the U.S. population consisted of single adults, with 52% of men and 47% of women in America reporting their use of online dating platforms. From Idaho to New York and across all age groups, religions and ethnicities, people embraced online dating services. In the next few years things skyrocketed, with 54 Million singles in the U.S. as of 2017, of which more than 49 Million report using online dating services, online dating had become a $1.9 Billion dollar industry. By May 2017, eHarmony had become one of the largest online dating platforms reporting over 17.5 Million users, second nationally only to Match.com with 35 Million. The advent of this new romantic age that leveraged online technologies in the quest for love, brought with it a whole new category of challenges for the platform operators. The number of requests to their servers were no longer in the thousands but in the Trillions. But there was no need to panic - these new types of challenges faced by eHarmony, were perfectly suited to be addressed by leveraging the scale and performance benefits of cloud solutions and integrating these with traditional day-to-day IT operations. One of the first challenges faced by eHarmony was to modernize their outdated monolithic architecture for increased performance and agility. In their historical software system, functionally distinguishable aspects of their applications, such as data I/O, processing, error handling and user interfaces, were interwoven rather than being isolated into separate architectural components. Other bottlenecks and issues included the elastic demand capabilities of their webservers, and the high capital expenses of provisioning new resources for the on premise data centers. In order to facilitate performance improvements and greater agility we conceptualized and implemented a full service end-to-end cloud migration and adoption strategy based around the cloud services offered by Google (GCP) and Oracle (OCI). First, we helped them re-architect their existing infrastructure and applications into a suite of independently deployable, modular microservices. As such each application runs a unique process and communicates through a well-defined, lightweight mechanism. With the help of Docker Containers we helped them migrate these from their on premise locations to the Google Cloud Platform (GCP). Initially, our team used the ExtraHop platform for a continuous auto-discovery of application dependencies and to identify and map architectural requirements necessary to run these applications on GCP. This allowed us to configure and provision eHarmony's new cloud-based VM environment in a way that would optimally serve the needs of their applications. Furthermore, we used HashiCorp's cloud configuration and orchestration tool Terraform to spin up a highly elastic farm of Apache Web Servers in the Google Cloud, to meet the unpredictable and volatile number of requests coming from the online dating platform. This enabled eHarmony to scale flexibly to meet demands and provided significant cost-savings by scaling down when demands were low and stable. Finally, eHarmony was so pleased with this initial cloud solution that they commissioned us to help them migrate their database as well. Therefore we are currently migrating their Oracle DB from their on premise locations in Las Vegas and Los Angeles to the Oracle Cloud. This is done with the aim of maintaining and improving performance further through the utilization of Oracle's Baremetal infrastructure. Simultaneously, we are facilitating significant Oracle licensing cost savings through the provision of dynamically scalable instances (elastic CPU scalability) and automation. 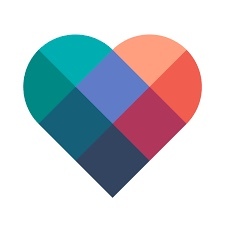 We are proud to count eHarmony amongst our network of happy clients and look forward to continue working with them. Intuit Inc. is a business and financial software company that develops and sells financial, accounting, and tax preparation software and related services for small businesses, accountants, and individuals. 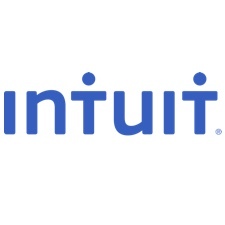 QuickBooks, TurboTax, Mint, and ProConnect define Intuit's commitment to revolutionize the way people manage their personal finances, clients' finances, run small businesses, and pay employees. When Intuit came to us they were facing various challenges. Whilst already largely virtualized, their infrastructure and IT systems contained applications with many legacy features and performance of many applications was suboptimal. Especially one of the consumer group services tended to underperform and required elastic scalability to service fluctuating numbers of consumers. Finally, as a financial services company, comprehensive and complete data security throughout their cloud solution was of critical importance and one of the main priorities for Intuit. To improve performance of the internal API Gateway and consumer group service, we migrated it to AWS using Terraform for the infrastructure as a code. However, the migration required a lot of planning and analysis, as there were complex multi-dependencies that had to be discovered and mapped out, and many legacy features that needed to be removed. Furthermore, as this consumer group service dealt with financial data and customers' private information, overall data security within the cloud solution was of paramount importance. Therefore, it was necessary to ensure our solution design guaranteed in transit and at rest data encryption of the highest standards. We tackled this challenge by establishing permissions which followed the AWS Security principle of least-privilege. This allowed us to minimize the blast radius and drive the Recovery Point Objective (RPO) and Recovery Time Objective (RTO) to down under an hour. 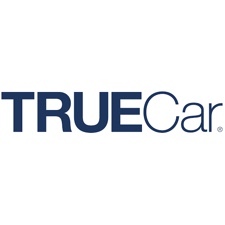 Founded in 2005, with its headquarters located in Santa Monica, TrueCar Inc. is an automotive pricing and information website for new and used car buyers and dealers. Potential car buyers receive an online report illustrating average prices others have paid for the same or similar cars, and are then directed towards a network of more than 13,000 TrueCar Certified Dealers to ensure a price-transparent, trustworthy and overall positive purchase experience for potential buyers. TrueCar's massive database containing petabytes of selling price information, presented storage and processing challenges that could be perfectly addressed leveraging the benefits of a cloud-based Big Data solution. Therefore we helped the company architect a Big Data cluster in Apache Hadoop and then migrated it from on premise to AWS. More specifically, we wrote infrastructure code using CloudFormation and Chef to ensure the solutions were scalable and elastic to demands. We designed a Data Lake to reside on Amazon's S3 Object Storage solution, so that the EC2 compute clusters could be scaled down or destroyed for cost savings. Furthermore, we designed an end-to-end security and monitoring infrastructure that would minimize the risk of data leaks. Finally, we wrote Apache Spark applications in Scala and Python and helped with MapReduce programming in JAVA. Consequently TrueCar was to achieve significant performance improvements in general purpose data processing and realized substantial cost savings from the newly gained elasticity of the compute instances. 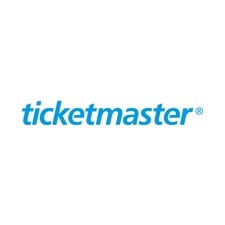 Ticketmaster Entertainment, Inc. is a ticket sales and distribution company based in Hollywood, California, with operations in many countries around the world. As a primary ticket outlet, most ticket sales for US venues and events are fulfilled at Tickemaster's two main fulfillment centers located in Charleston, West Virginia and Pharr, Texas. Typically, Ticketmaster's clients (event promoters) control their events, and Ticketmaster acts as an agent selling the tickets clients make available to them. As a platform, Ticketmaster's website must handle a large number of requests and manage many varied integration services from multiple third party vendors who are selling tickets through TicketMaster. This multi-party integration of different APIs posed significant problems for setting up and managing the platform's backend. Furthermore, as the event industry is subject to a highly volatile and seasonal demand fluctuations, the platform needed to be able to rapidly and inexpensively scale up or down capacities depending on demand. In response to these requirements, we helped Tickmaster architect an AWS based cloud solution that contained a simplified third party integration service. Additionally we designed and provisioned elastic RDS services in AWS to help them manage their volatile loads. These solutions effectively helped Ticketmaster gain the scalability and elastic capabilities they needed for future growth of the platform, and helped the company minimize costs, risk, and down time by gaining stability for their services because the predictable performance of the AWS cloud was leveraged. Hulu is a subscription video on demand service owned by The Walt Disney Company, 21st Century Fox, Comcast and Time Warner. It is primarily oriented towards television series, carrying current and past episodes of series from its owners' respective television networks and other content partners. Previously the service was offered in both free and paid tiers, with the free service limited in the amount of content accessible by users and only accessible via PC, while the paid service with a much larger library of content could be accessed via Hulu applications for various mobile and connected devices. Hulu is offered only to users in Japan and the United States and its overseas territories. In 2016, Hulu spun out its free content into a joint venture with Yahoo! called Yahoo! View and launched a live television streaming service on May 3, 2017. Hulu experienced an exponential increase in traffic from users in the US and Japan, and their resultant content consumption required a content delivery solution that was easily scalable and inexpensive to spin up, should extra capacities be required at peak viewing times. In addition, due to the type and variety of content supported on the streaming platform, it was of critical importance for Hulu that their IT solution would support the delivery of multiple content formats. Hulu's desire for inexpensive scalability and demand elasticity could be perfectly met with the content delivery offerings of an Amazon cloud-based solution. After evaluating the offerings of different vendors, we decided to build a solution for Hulu on the AWS cloud due to the low operating expenses, but also because of the Amazon Kinesis and Elastic Transcoder products. Amazon Kinesis makes it easy to collect, process, and analyze real-time, streaming data so you can get timely insights and react quickly to new information. The service offers key capabilities to cost-effectively process streaming data at any scale, and provides the flexibility to choose the tools that best suit the requirements of your application. Additionally, the Amazon Elastic Transcoder enables a scalable and cost-effective conversion of media files in the cloud, from their source formats into versions that will playback on devices. Both AWS products were implemented to build a dynamic front end for Hulu's developers and to develop the delivery pipeline for different video formats through Amazon Elastic Transcoder. This solution brought Hulu significant performance improvements in the speed of content delivery and reduced operating costs while ensuring scalability for the future development and growth of the platform.